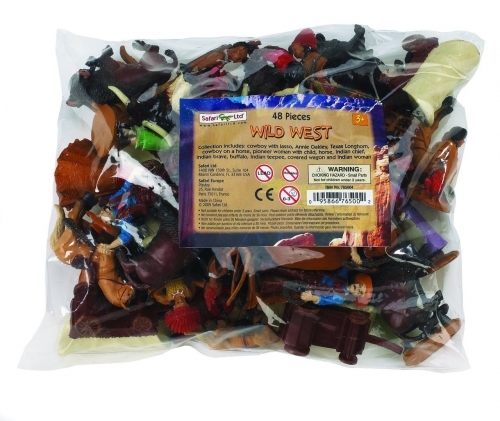 Get ready to yell “YEEHAW!” with our Wild West Bulk Bag! The Wild West took place during the second half of the 1800s. It was the time when the buffalo roamed and cowboys protected the town! 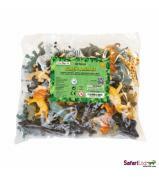 The Safari Ltd® Bulk Bag collection features miniature figurines that are grouped in a variety of different themes. 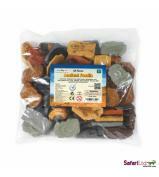 Each figurines is professionally sculpted and individually hand-painted with realistic details. 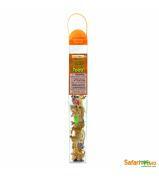 Our Toys That Teach® are made to last and are the perfect addition to any classroom setting. 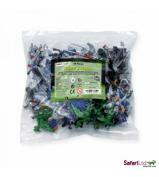 Take a trip to the Wild West with our Bulk Bags today! 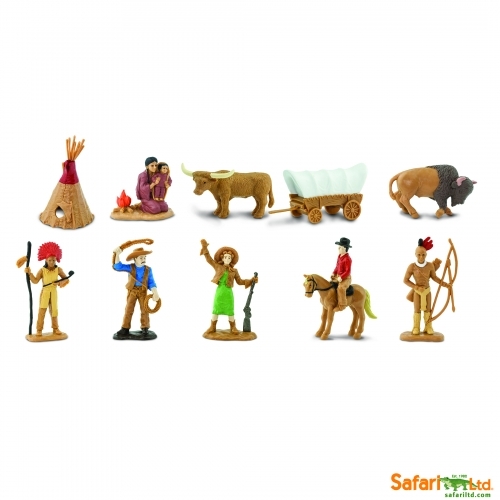 The Wild West Bulk Bag includes: indian teepee, indian woman, Texas Longhorn bull, covered wagon, buffalo, indian chief, pioneer woman, cowboy, Annie Oakley, cowboy on horse and indian brave.